Have a question for Nine Forty One Hotel? "Good property , clean room"
"shopping mall in front of the hotel made so easy to reach to what I need." "Hotel location is excellent, just next to a shopping mall where you can find good with great variety." 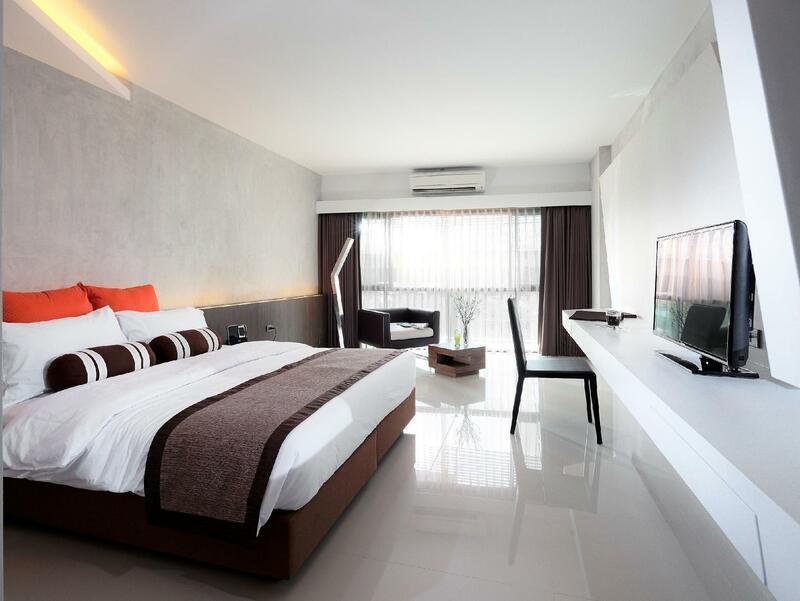 "Good location for stand by both arrival and departure"
The Nine Forty One Hotel is an ideal choice for the ultimate vacation. With a 4 star rating, the hotel is a fantastic choice for your next getaway. It offers family rooms, so your entire family will have adequate space to hang out together. From dry cleaning services to laundry services, it provides a number of useful services for guests to take advantage of during their stay. It is near George Custom Tailors, The Nine Center Rama 9, London Street, Assumption University Hua Mak Campus, and Rajamangala Stadium. 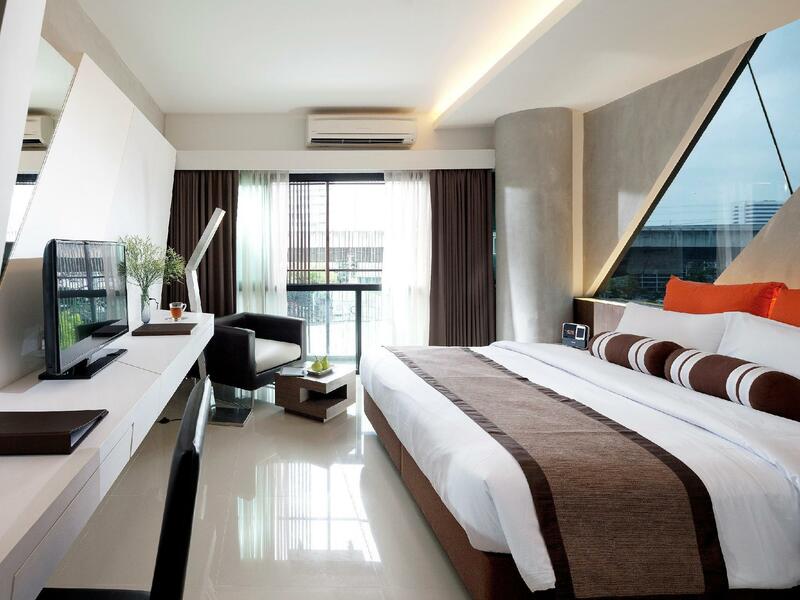 The Nine Forty One Hotel offers city room views, giving you a glimpse of the lively city roads. The Nine Forty One Hotel has free Wi-Fi in all rooms, as well as Wi-Fi in common areas, so guests can contact their friends and family. 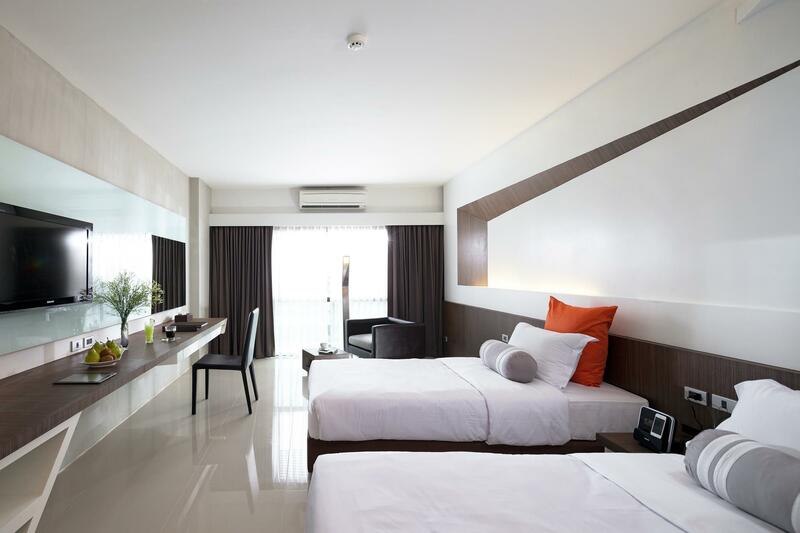 With a smoking area, a convenience store, and safety deposit boxes, this hotel provides various convenient features to make your stay more comfortable. With Thai, American, and Asian restaurants nearby, it is located in an ideal area for those who want to enjoy delicious cuisines when eating out. The Nine Forty One Hotel features a bar, a poolside bar, room service, a coffee shop, and restaurants on the property, so there is a range of dining and snacking choices. All of the rooms come with air conditioning, a hair dryer, a seating area, and an alarm clock. They also have an in-room safe box, a shower, bathrobes, slippers, and more. 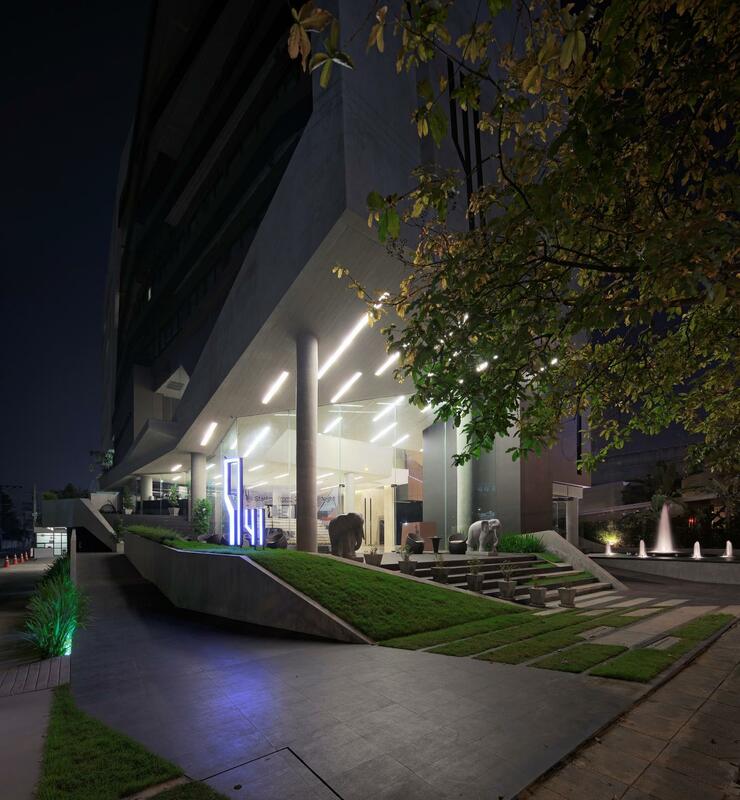 The Nine Forty One Hotel offers a number of facilities for guests to take advantage of throughout their stay, such as a golf course and an indoor swimming pool. The Nine Forty One Hotel offers a 24-hour check in and check out service, allowing you to arrive at a time that is best for you. The front desk is open around the clock, so there is always someone on call to help with any questions. The nearest airports are Suvarnabhumi International Airport (BKK) and Don Mueang International Airport (DMK), which are located 14.6 km and 19.6 km away. Airport Rail Link Hua Mark Station is 2.1 km away and Airport Rail Link Ramkhamhaeng Station is 2.8 km away. "Very friendly, clean, value for money and will come back aga..."
The view from "Superior Double" room is expressway. The hotel is at a little off route from major attractions. There were only a limited guests staying at the hotel (We were there during new year time, around busiest time for hoteliers in Thailand). The hotel offers limited breakfast options with little/no options for Indians (esp. vegetarians). We were most shocked when we asked for a glass of milk for our kid (even on paid basis) and were told hotel doesnt have any. This hotel location doubts for the tourist though, for me, just next door is the place to work. and shopping mall in front of the hotel made so easy to reach to what I need. Expect to be back. Closed to The nine community mall not far from express way and air port railing (with taxi), the only thing is noise from the road since the hotel is beside the road if paid for superior room you have to stay on the road side so quite noisy. Hotel located beside the 9 Mall with 24/7 supermarket n various food outlets. Situated along expressway to airport. Hotel only have a restaurant but room service n staff is excellence. Room is spacious n facilities are great. Provided with ginger aroma shower gel shampoo n conditioner. Hotel location is excellent, just next to a shopping mall where you can find good with great variety. 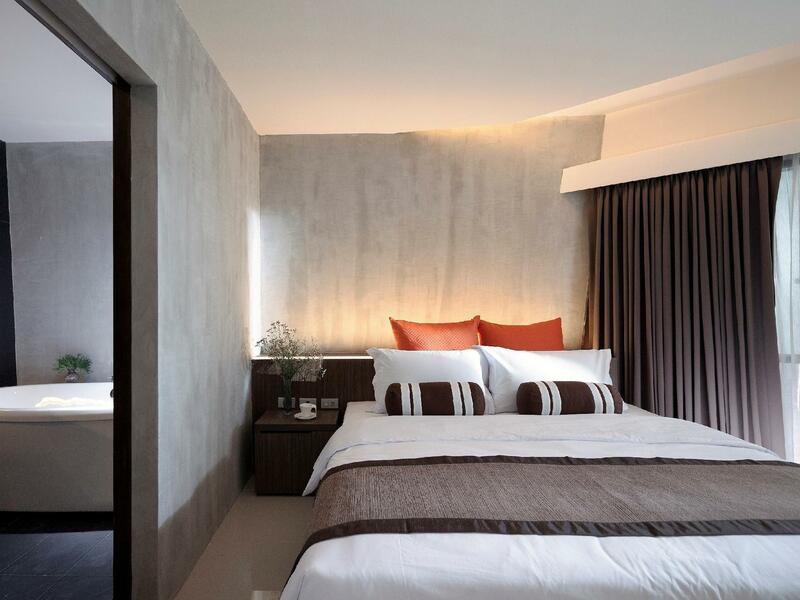 Close to Suvarnabhumi international airport, next to shopping centre and supermarket. ...take a "Superior Room" (we had 402) - these rooms are facing the 6-lanes motorway and the 4-lanes elevated highway. In other words buy ear-plugs or take some supporting medicine for a sleep. The street noise is inaccaptable - 24 hours. In the night when there used to be less cars, the motorbikes are doing their races... The hotel description just describes a perfect room, but the reality is something different. Additionally the room was declared as "non-smoking room", but the smell was terrible. After the aircon has worked 30 minutes the smell was gone(?) Breakfast is a nightmare, Asian (warm) food and toast and some other "Thailand hotel basics". Kitchen staff was friendly to serve some fresh made eggs, which is highly appreciated and should be mentioned here. Reception staff was not able to give another room after my complaints about the noise. Nobody felt responsible to find a solution. On top they request a "deposit of 1000 THB per room. Parking is limited, but available. The hotel was clean and well kept. The location is not nearby any public transpo and taxis are quite difficult to find. Check out time was incorrectly stated as 1:30 pm on the website, by 12 they have turned off the electricity and we were told that check out was at 12:00 noon. We ask the front desk to book a cab for us, but we're told we had to wait for a cab ourselves.